Refractive surgery is the term used to describe surgical procedures that correct common vision problems (nearsightedness, farsightedness, astigmatism and presbyopia) to reduce your dependence on prescription eyeglasses and/or contact lenses. Currently, a laser procedure called LASIK (LAY-sik) is the most popular refractive surgery performed in the Taiwan. 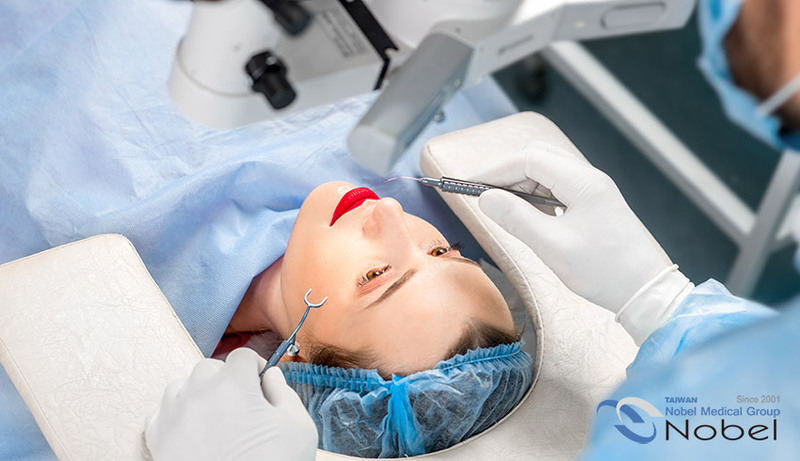 But there are other types of refractive surgery — including other laser procedures and intraocular lens procedures — that might be an even better choice for you, depending on your needs. More than 1000 degrees can do myopia laser? The deeper the degree of myopia, the more corneal thickness of laser loss, in order to take into account the stability and safety of the cornea, the corneal thickness should be retained at least 280 microns (µm) to avoid the sequelae of cone cornea. The suitability of surgery is still subject to complete visual assessment and professional physician judgement. In addition, due to the high myopia of the axis is longer, whether or not to perform surgery, the recommendations are required to do a regular retinal related examination. 150 degrees can do myopia laser? Myopia laser is mainly based on personal needs, if the work or life needs, can not wear glasses, or wear contact lenses cause discomfort, still can consider surgery. In addition, the low degree of myopia, laser consumption of corneal thickness, relatively good corneal stability after surgery, but still need to complete visual evaluation to confirm whether the operation. High intraocular pressure can do myopia laser? High intraocular pressure but want to do myopic laser, must be complete examination and physician evaluation, at the same time, it is necessary to control intraocular pressure within a stable range in order to consider myopia surgery, due to corneal thickness changes after surgery, eye pressure is too high, may cause corneal deformation and related diseases, such as: higher order aberration, degree of regression, cone cornea, etc., The risk of surgery must be confirmed and the operation should be considered. It is also necessary to maintain a good lifestyle after operation to avoid excessive intraocular pressure and increase the risk of surgery. Amblyopia can do myopia laser? The patients with Amblyopia do not have an additional risk, but must first confirm the cause and extent of the disease, if not accompanied by other ophthalmic diseases, by the physician assessment, and you can receive optometry evaluation of the best postoperative vision, can also consider myopia laser surgery. Glaucoma can do myopia laser? Glaucoma patients need to first confirm the severity of the operation, do not do vacuum suction action, can avoid increasing retinal nerve injury, but it is noteworthy that myopia laser surgery can not cure the optic nerve damage caused by glaucoma vision defects, can only help you no longer wear glasses or contact lenses. If the physician evaluates your suitability for surgery and you are able to receive postoperative visual quality, you can still consider the laser surgery for myopia. Postoperative need to maintain a good life style to avoid excessive intraocular pressure, increase the risk of surgery. Eye allergy can do myopia laser? Common eye allergy conjunctivitis does not affect the operation, and surgery will not aggravate the symptoms of conjunctivitis. But if your allergy symptom is more serious, our hospital will provide the eye water and the oral medicine use, the suggestion treats the symptom to alleviate again to accept the operation. Is there a flying mosquito can do myopia laser? Flying mosquito disease is mainly caused by retinal hemorrhage or impurities in the glass body, it is necessary to assess the severity of flying mosquito disease, and its impact on the daily visual quality. Myopia Laser surgery will not aggravate and can not improve the symptoms of flying mosquitoes, if the physician assessment of your suitability for surgery, and you can accept postoperative visual quality, but also consider the laser surgery myopia. Are there any side effects after the surgery? The surgery is usually very safe; some patients may have symptoms such as sense of a foreign body in the eyes or dryness of the eyes. Some may not be able to see clearly in the dark, but the symptoms will improve slowly as time progresses. How soon can I see the effect after the surgery? You may see a layer of cloud right after the surgery, but conditions will improve 6 hours later. Take a rest for one night and the eyesight may be restored close to target vision the next day. You may feel a slight sensation of a foreign body in the eyes, but the symptoms will improve as time progresses. To what extent can the vision be restored? Depending on the condition of each individual the target vision will be different; please imagine the best scenario as the vision with glasses or contact lenses. The physician will provide additional explanation after detailed examination. What do I need to pay attention to before the examination? Do not wear makeup on the day of inspection, but make eye makeup a little lighter. Before and after the surgery, the alcohol is not restricted, but it is best to come to the operation in accordance with the usual conditions. It is best to have enough sleep before the operation to let the body rest. How long does it take to stop wearing contact lenses before surgery? To allow for the healing of the deformed cornea, please stop wearing contact lenses and wear “soft contact lenses” for more than 3 days with “hard contact lenses”: more than 2 weeks. Can I take a bath or shower? Shower, wash your face and wash your head to avoid the surrounding eyes, wipe with a wet towel, but to avoid the water. In addition to the week, please avoid running water, lotion, etc. into the eyes. Can I operate motor vehicles? Most patients are able to return to good eyesight for driving every other day, but because there are individual differences after surgery, please discuss them with your doctor at the time of diagnosis. Usually, the surgery is suitable for patients over 18 when their vision is more stable; however, the suitability is determined by the physician after the examination. Can I obtain a medical certificate? LASIK is a self-pay procedure; however, a medical certificate can be issued for insurance purposes.